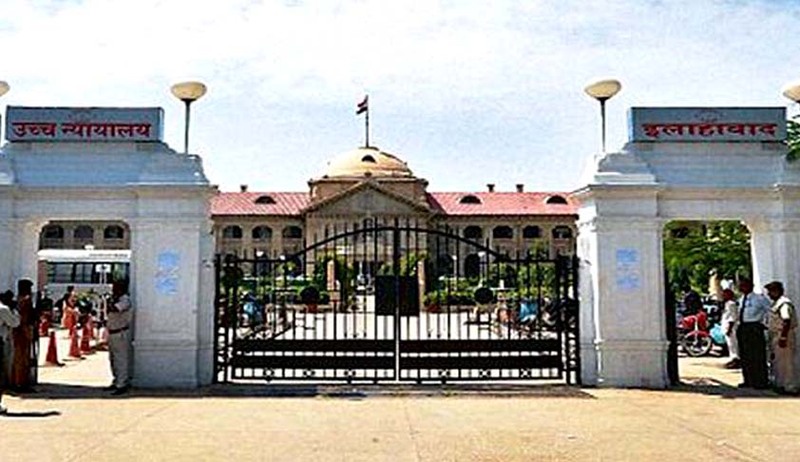 The Allahabad High Court has directed the Uttar Pradesh Government and other officials, to ensure that no religious structure in any form, shall be allowed/ permitted to be raised on public roads which belong to State. The Court has also observed that and if any deviation or disobedience on the part of concerned officials is found in implementation of the directions issued by Court in this regard, they shall be personally responsible and would be held liable for criminal contempt of Court. The Court has also asked the Officials to remove any religious structure that were raised in public places in last five years. The Court also asked the State Government to make out a plan so as to ensure that public roads are not obstructed creating hindrance in the smooth flow of traffic/movement of public due to observance of religious activities. The Division bench comprising of Justices Sudhir Agarwal and Rakesh Srivastava, issued certain directives to the Government and officials of the State, in a petition filed by residents of Dauda Kheda complaining about inaction of the Government authorities in not stopping some private individuals who are encroaching upon a public pathway by raising construction of a temple and attempting to encroach upon the public land. State of U.P. through Chief Secretary, U.P. is directed to issue a general direction to all Collectors and Senior Superintendent of Police/Superintendent of Police including the Officers responsible for maintenance of roads (including highways) in State of U.P. to ensure that no religious structure in any form, whatsoever, shall be allowed/ permitted to be raised on public road (including highways), street, pathway, lane etc. including sideways which is part and parcel of road (including highways) etc. and belong to State. If any such structure is existing and has been raised in the last five years, to be more precise on and after 01.01.2011, the same shall be removed forthwith and a compliance report shall be submitted by Collectors etc. of concerned Districts to Principal Secretary/Secretary of concerned department, who shall submit a comprehensive report to the Chief Secretary within next two months. If any such religious structure has been raised encroaching upon public road (including highways), street, lane etc., as stated above, before 01.01.2011, a Scheme shall be worked out and executed to shift the same to a private land offered by beneficiaries of such religious structures or persons responsible for its management or to remove it, within six months and a compliance report shall be submitted in the manner as said above in Direction No. (ii). On and after 10.06.2016, it shall be the responsibility of all Deputy Collectors/ Collectors in respective Sub-divisions and District as also Circle Officers and Superintendent of Police/Senior Superintendent of Police of concerned District including the Officers responsible for maintenance of roads (including highways) that no encroachment is made, by raising religious structures, by whatever name it is called, belong to any religion, creed, caste, sect, section etc., on public roads (including highways), streets, pathways, sideways, lanes etc. and if any deviation or disobedience is found, these Officers shall be personally responsible. This disobedience shall also be treated a deliberate and intentional disobedience to lower down authority of Court and would amount to criminal contempt. State Government is also directed to make out a plan so as to ensure that public roads (including highways), streets, pathways, sideways, lanes etc. are not obstructed creating hindrance in the smooth flow of traffic/movement of public on such roads (including highways) due to observance of religious activities and such activities are performed strictly at the places identified for the same or belong to concerned religious sections or at private place. In the present case, District Magistrate is directed to take immediate steps and take appropriate action within two weeks.